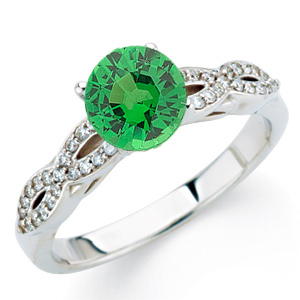 Beautiful Round 1 carat 6mm Tsavorite Garnet Gemstone Engagement Ring With Diamond Baguette Side Gems An Updated Classic. Two Tapered Baguette Shape Diamonds Are Channel Set in The Band of This Stunning Ring and Flank the Centergem. 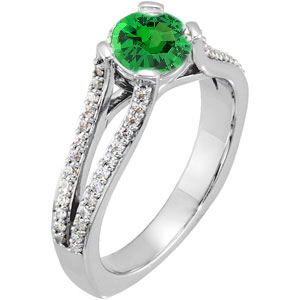 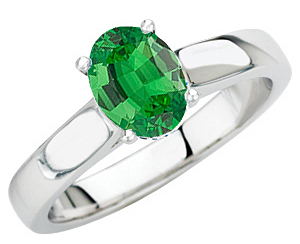 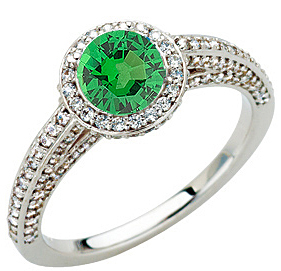 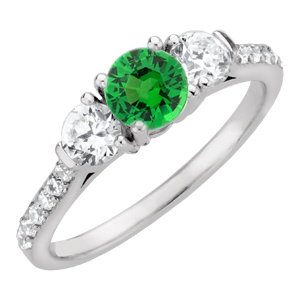 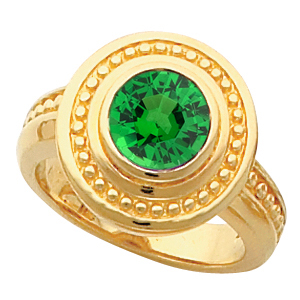 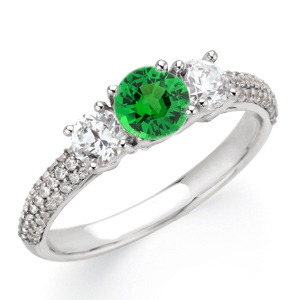 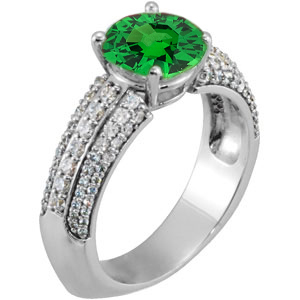 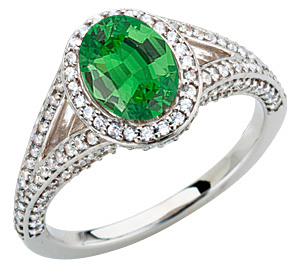 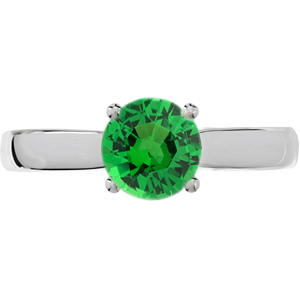 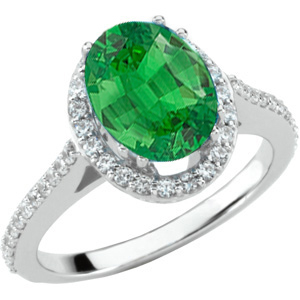 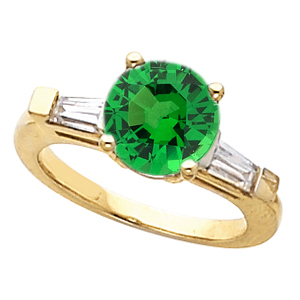 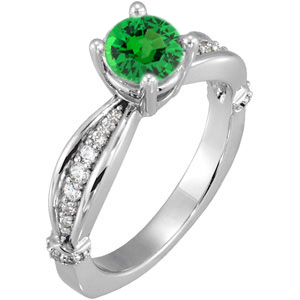 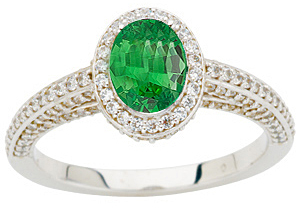 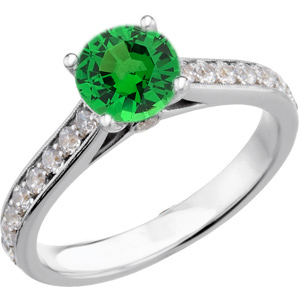 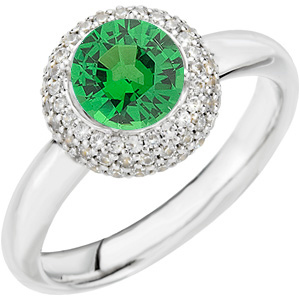 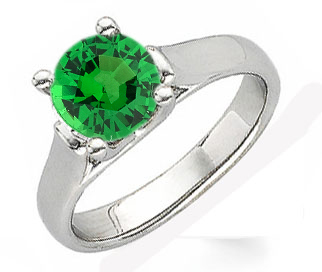 With a Colored Round Tsavorite Garnet Gemstone Center, This Stunning Ring is a Unique Choice for an Engagement Ring. 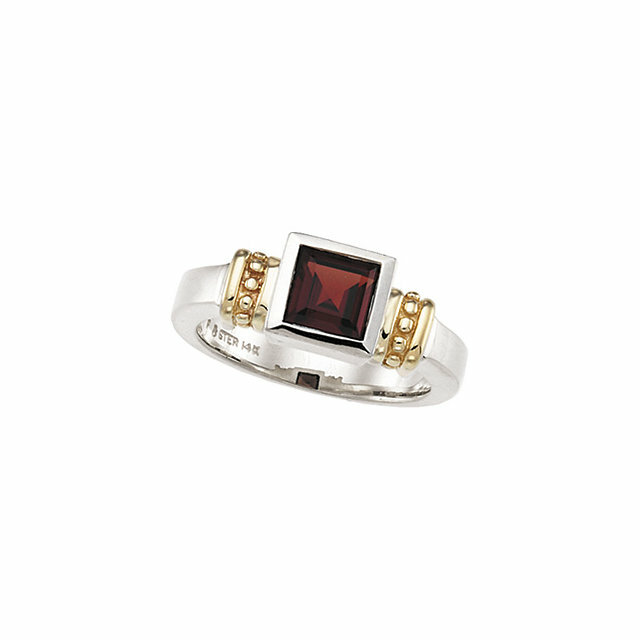 Sizing is no charge. 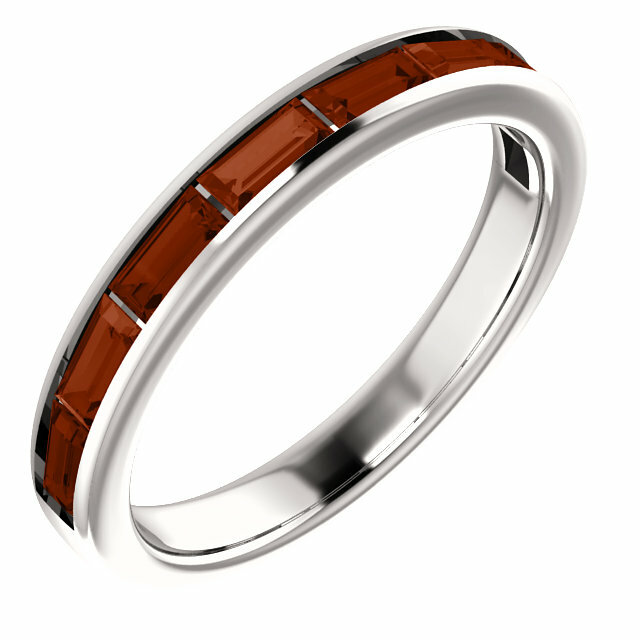 This is a custom made ring and it is made to order. Please allow 10-14 days for delivery. 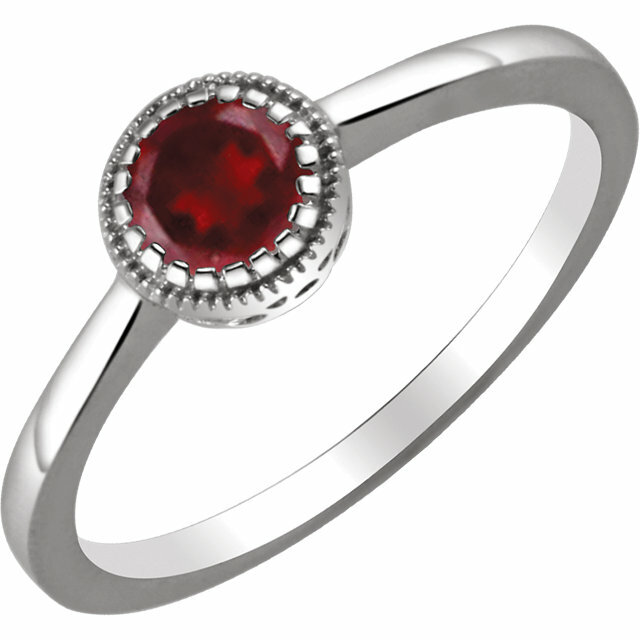 Those with January birthdays are in a unique situation when it comes to birthdays gifts. 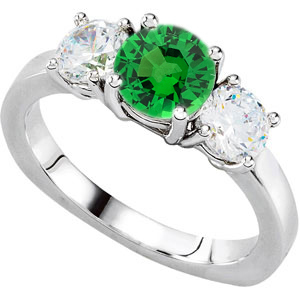 When January rolls around memories of the holiday season are fresh and everyone clearly recalls the gift so recently purchased for any given January baby. 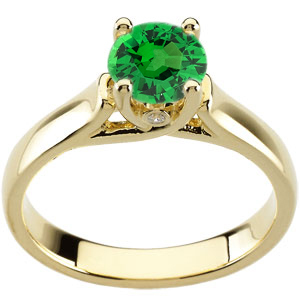 And therefore, after putting time and money into a thoughtful holiday gift just the month before, the January birthday presents from friends and family are often lackluster and disappointing. 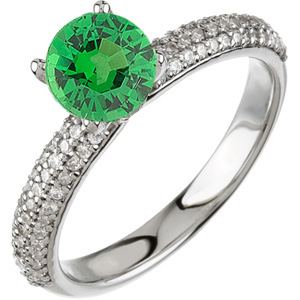 Let�s be reasonable here people! 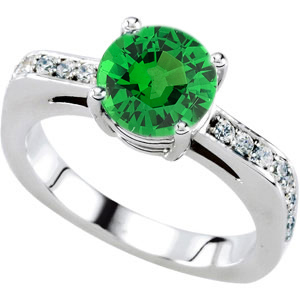 Just because someone was born in January does not mean that their birthday should be less exciting than if it were in April or September. And skimping on their birthday gift is uncalled for and unfair! 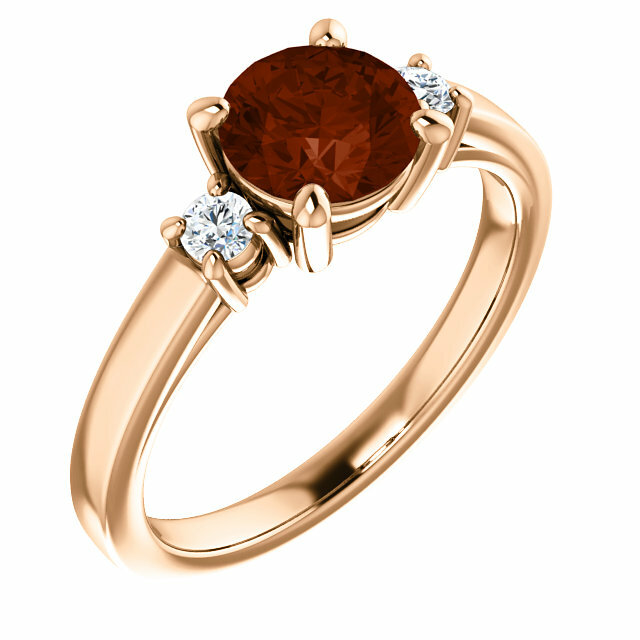 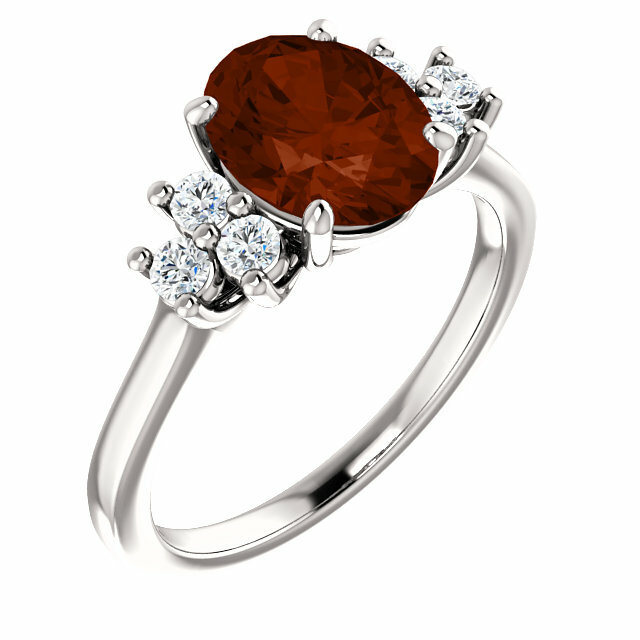 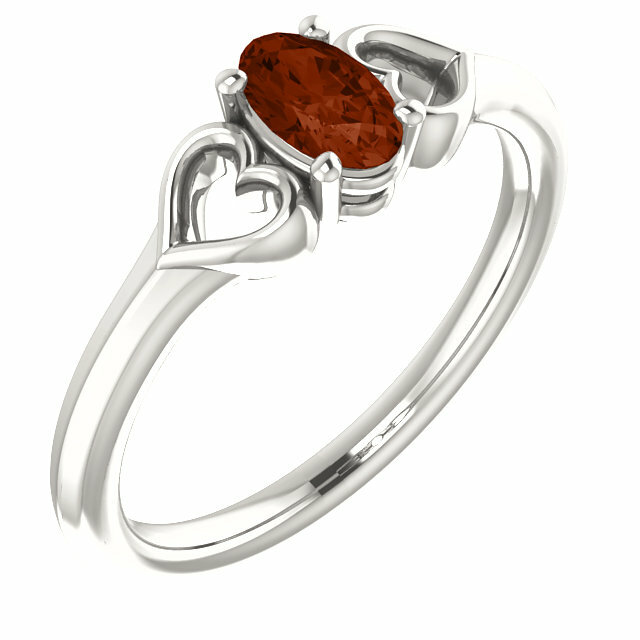 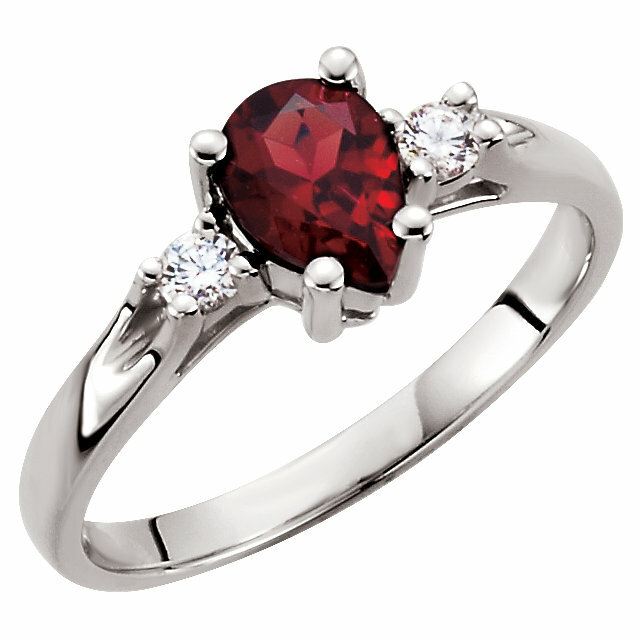 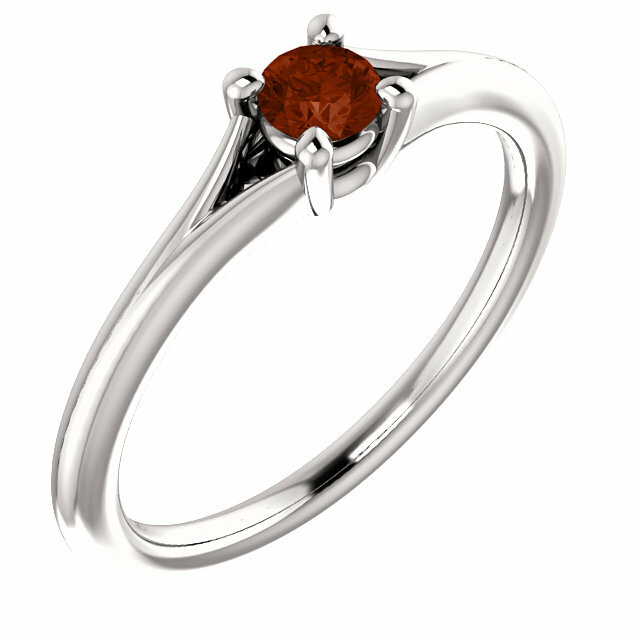 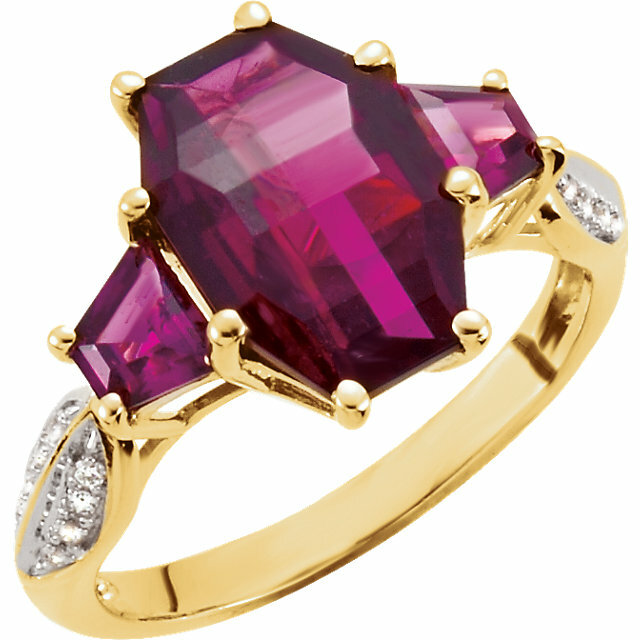 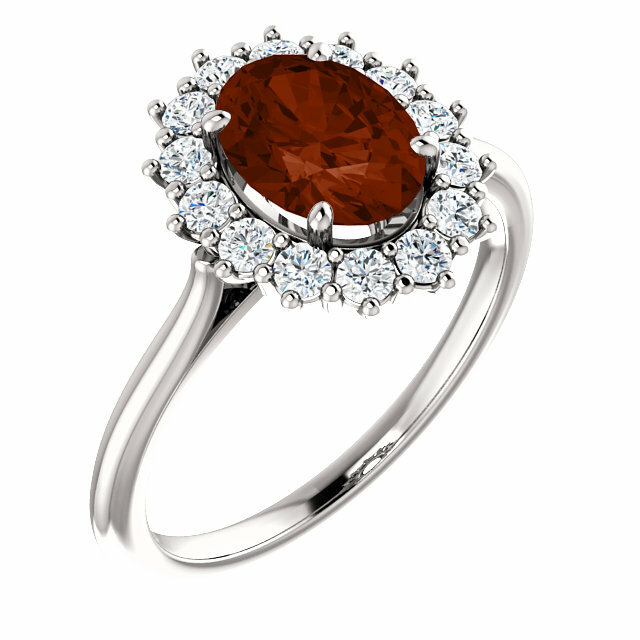 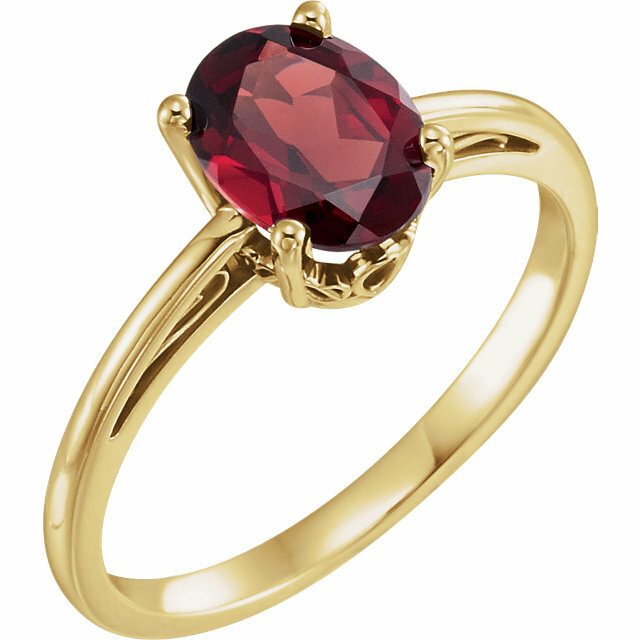 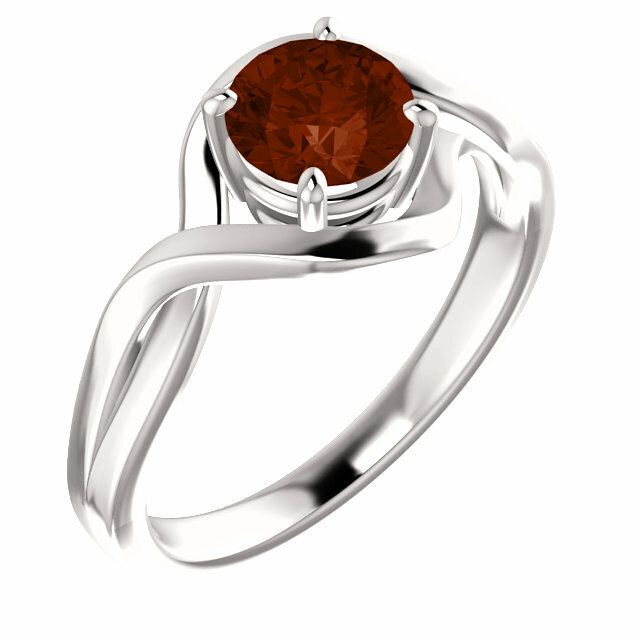 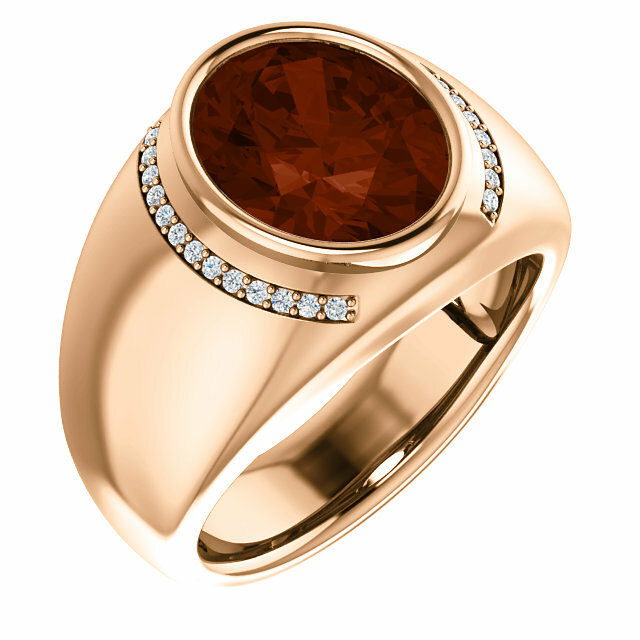 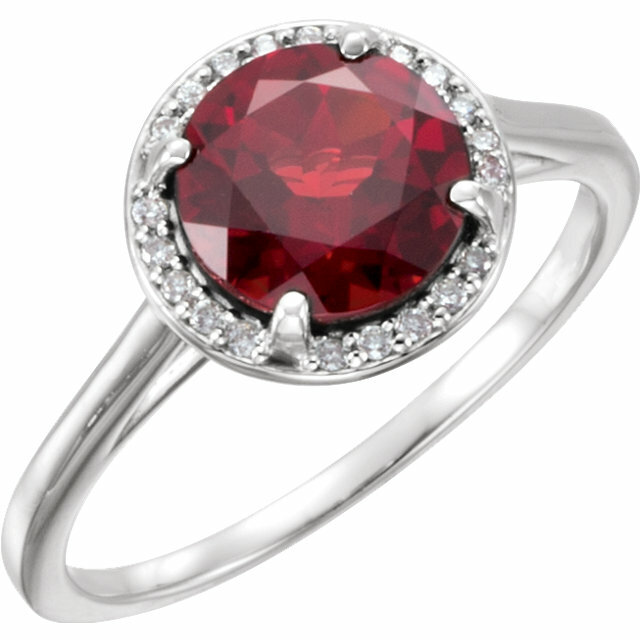 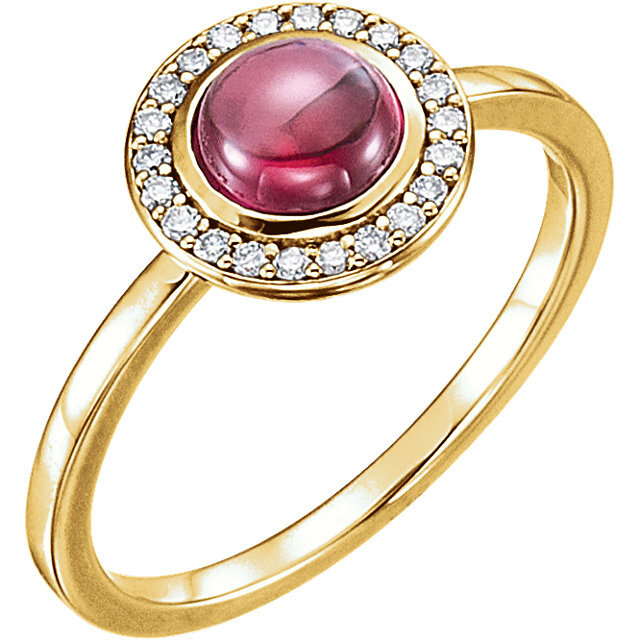 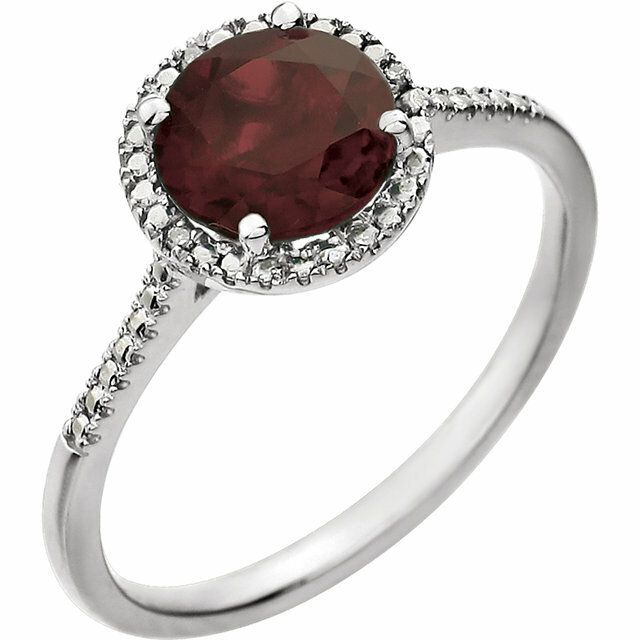 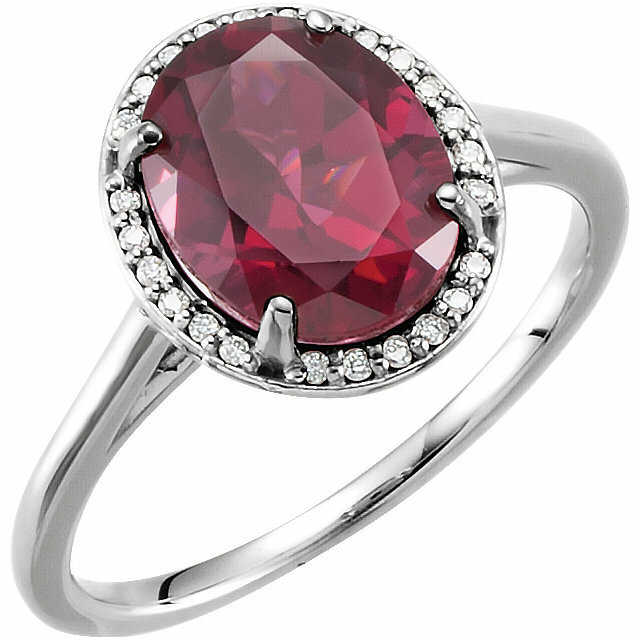 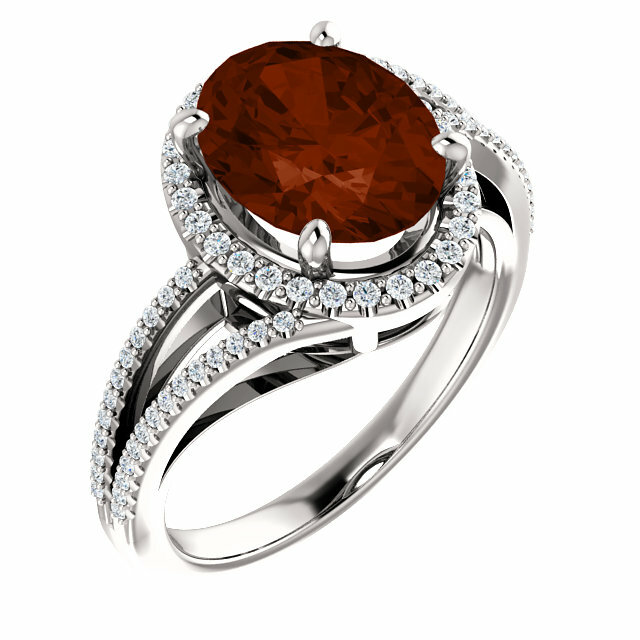 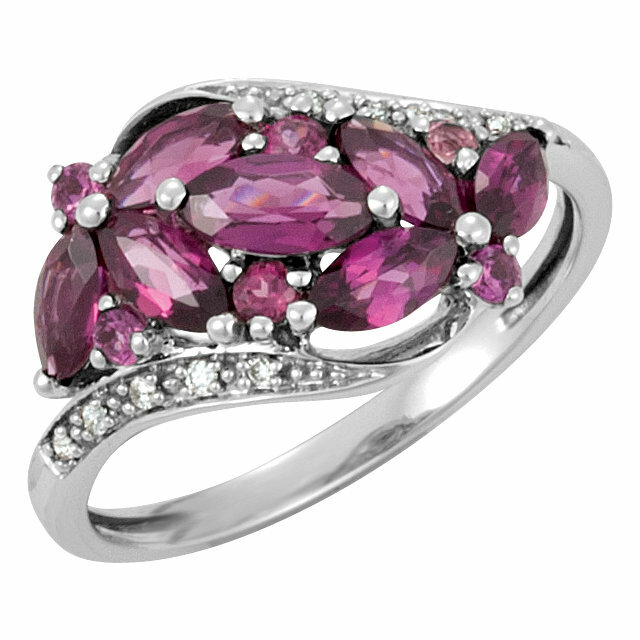 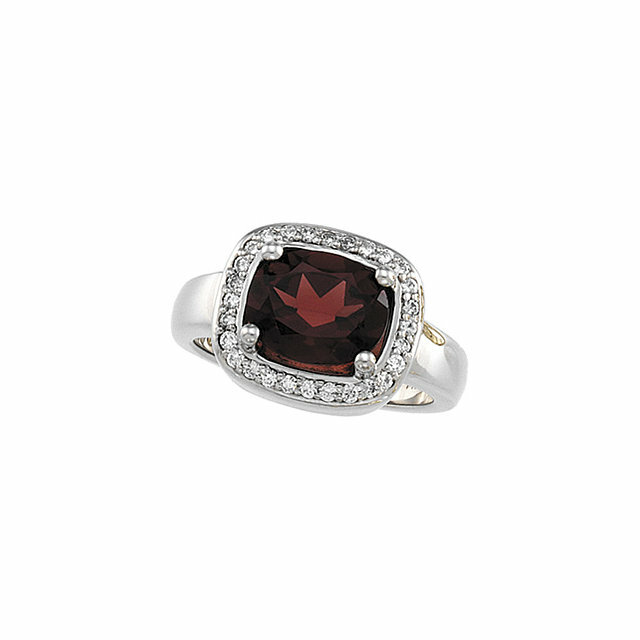 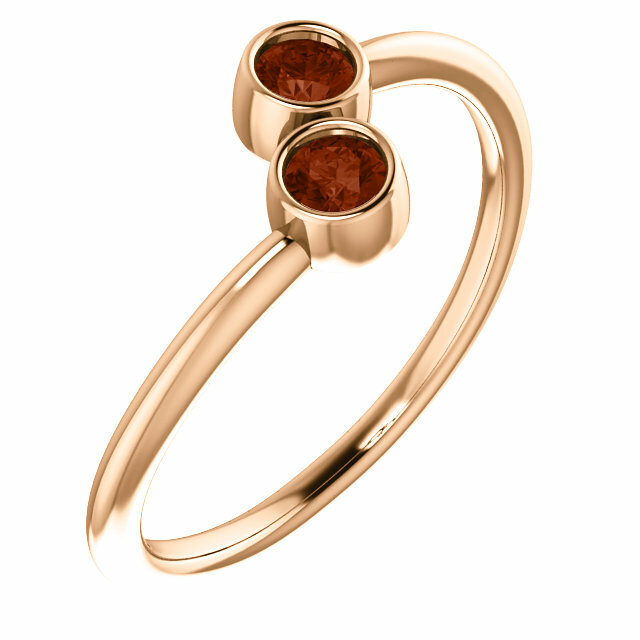 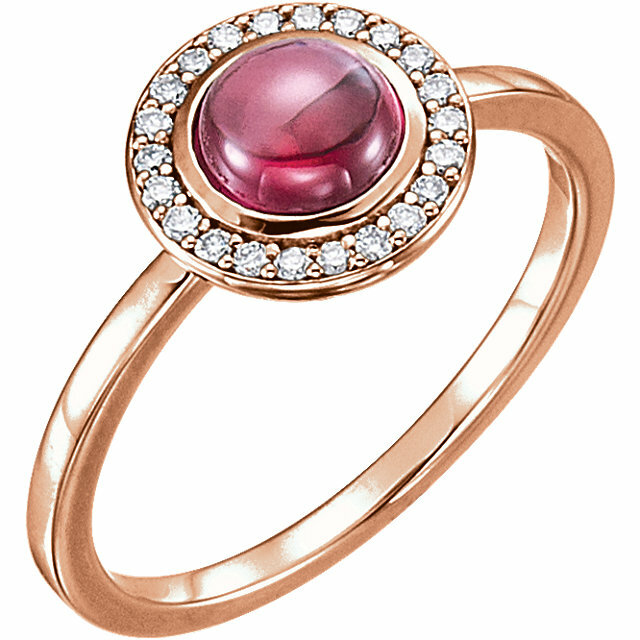 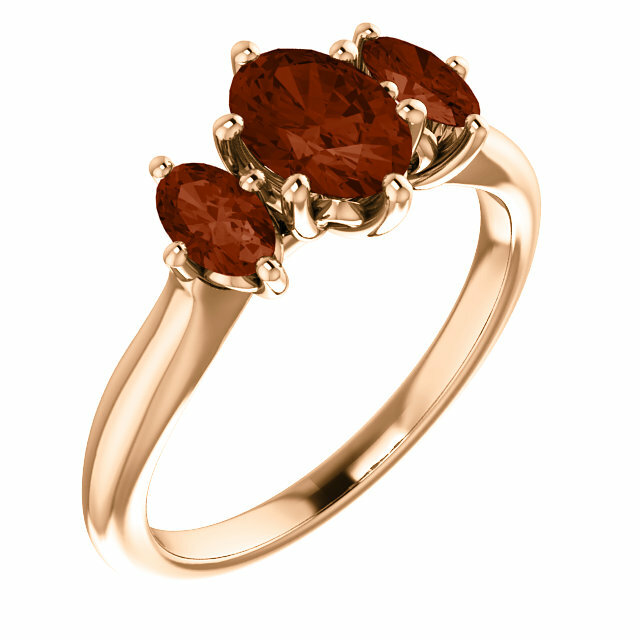 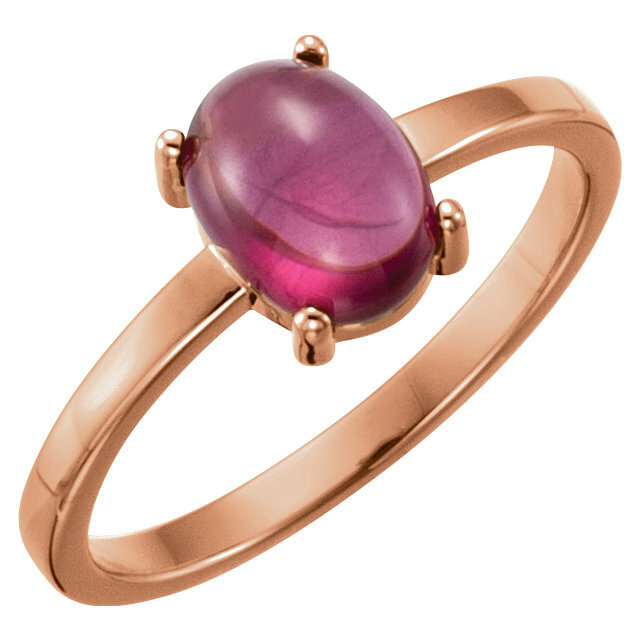 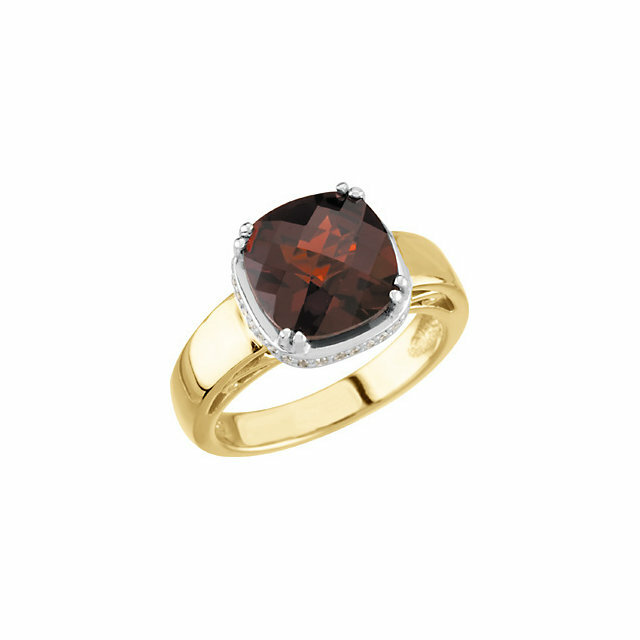 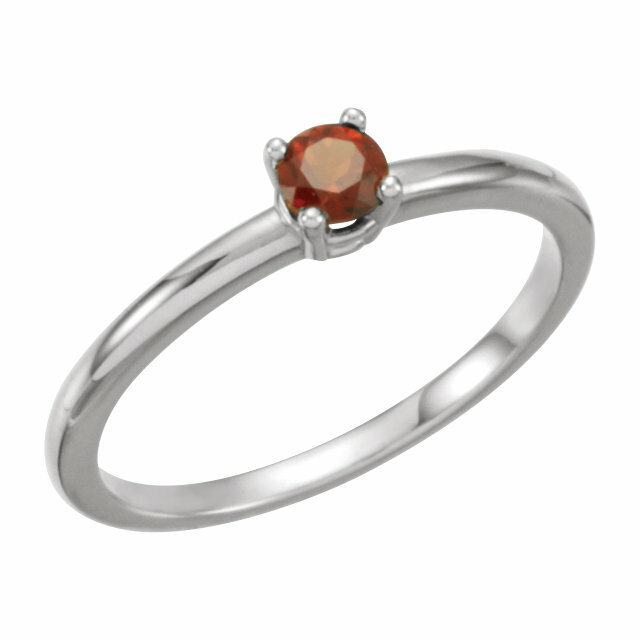 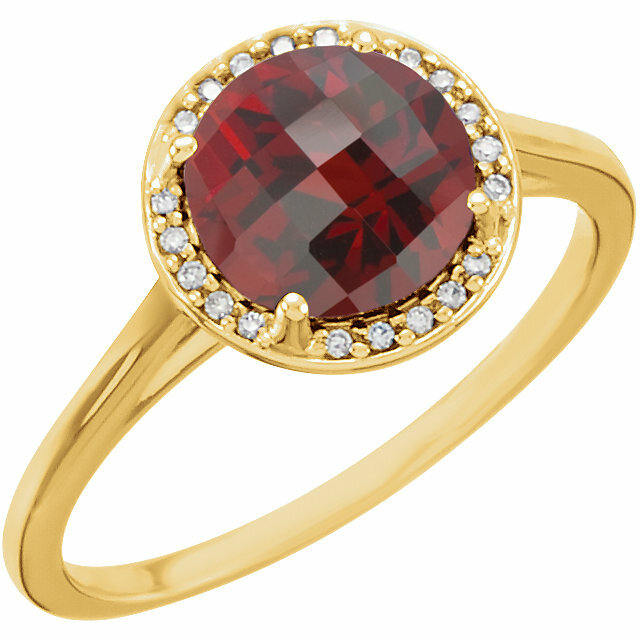 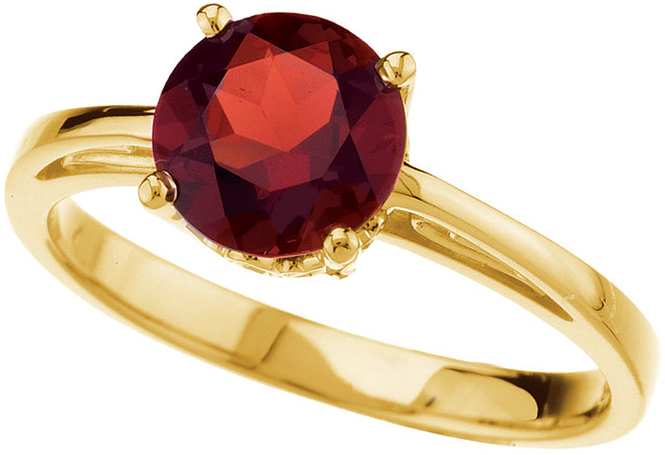 This year, make it up to that special January girl with a beautiful Mozambique Garnet ring, her personal birthstone! Such a lovely and thoughtful gift will make up for all of the years of scented candles or kitchenware for birthday presents. 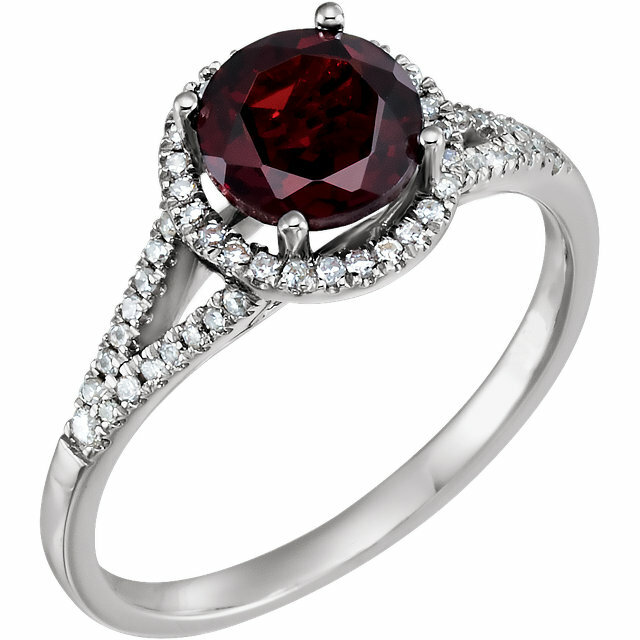 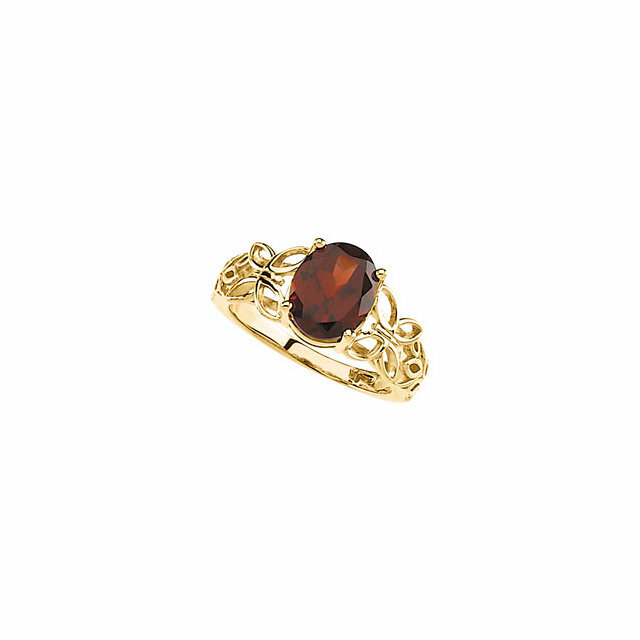 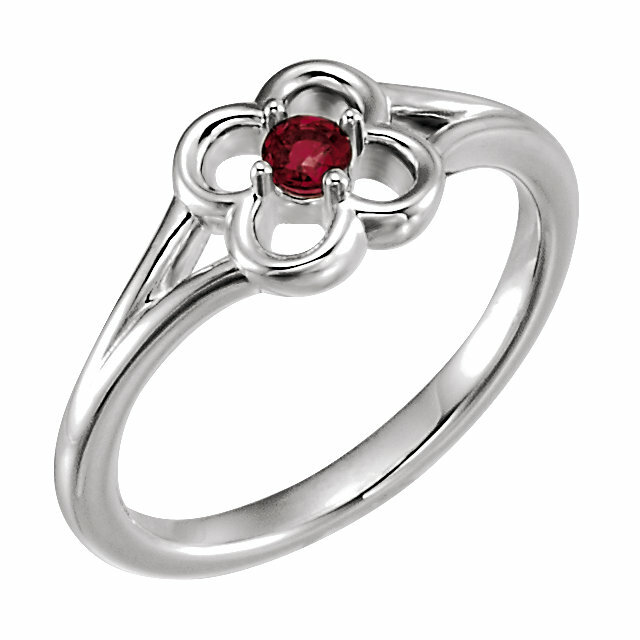 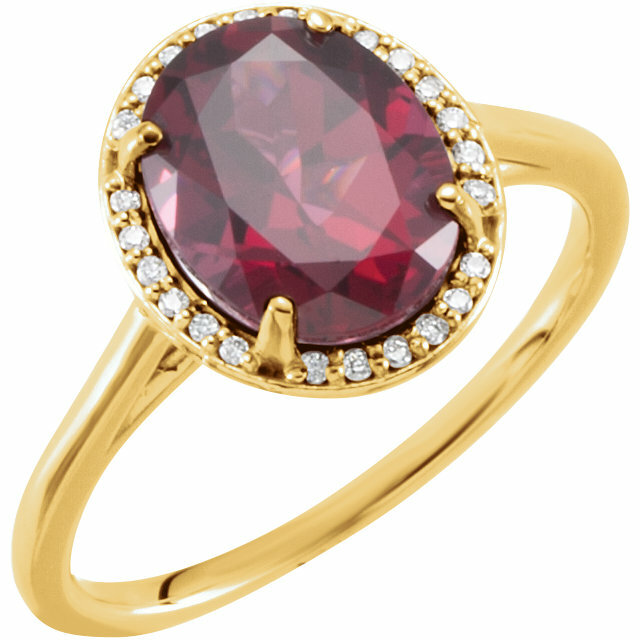 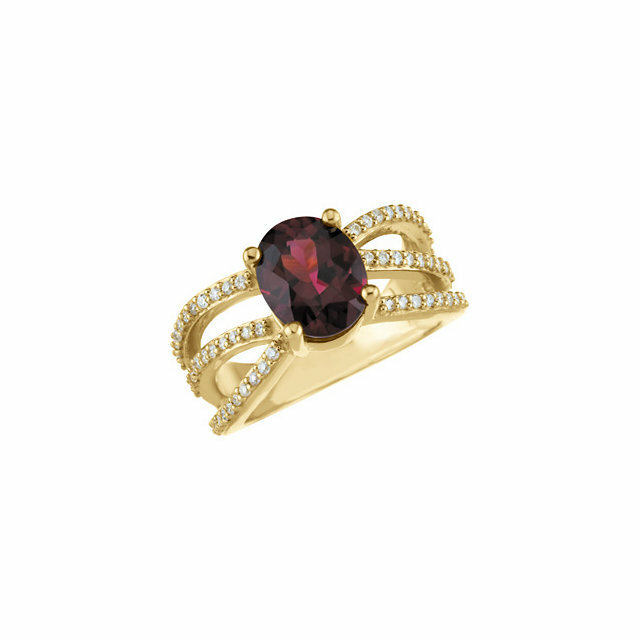 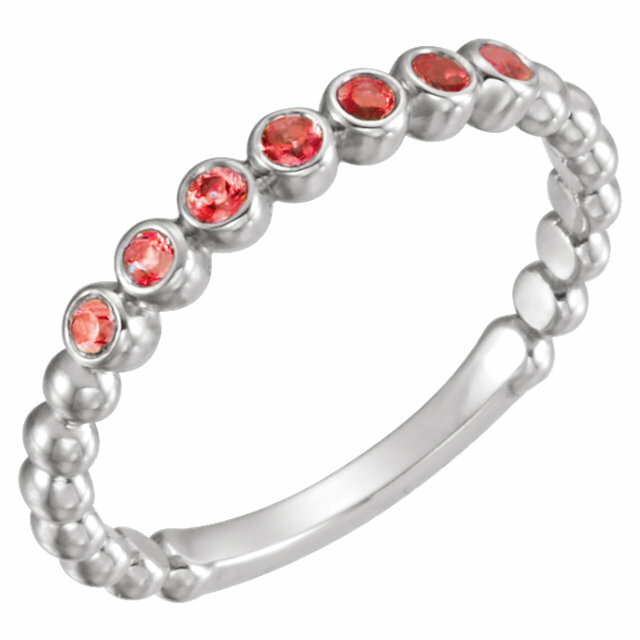 Shop today for a beautiful red Garnet ring for your favorite January gal! 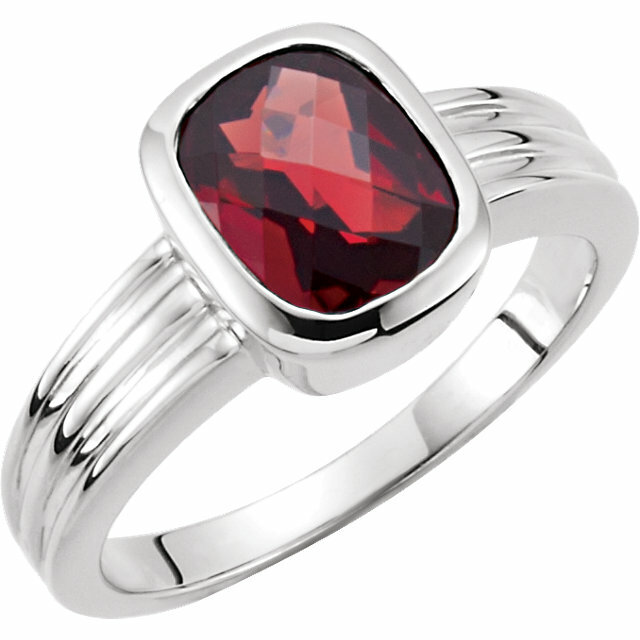 Amazing Genuine Mozambique Garnet Fashion Rings for Her � Red Garnet Rings in 14k Gold & Sterling Silver � Great Prices! 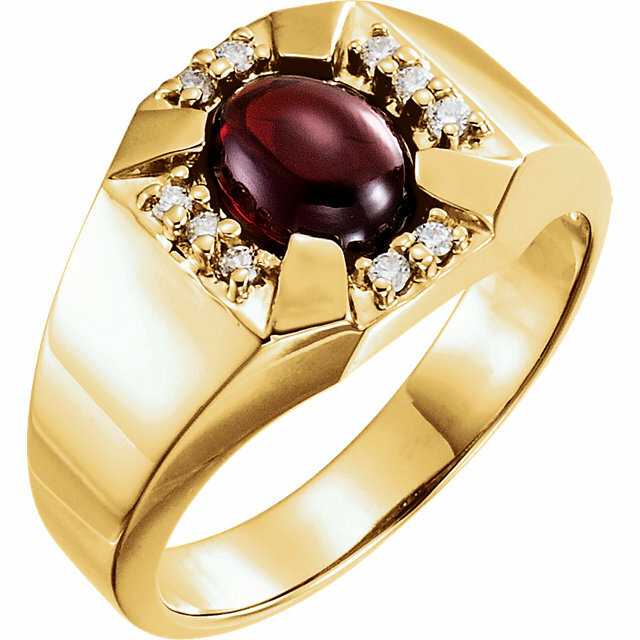 We�re pleased to offer an impressive selection of fashion rings featuring genuine Mozambique Garnet Centergems. 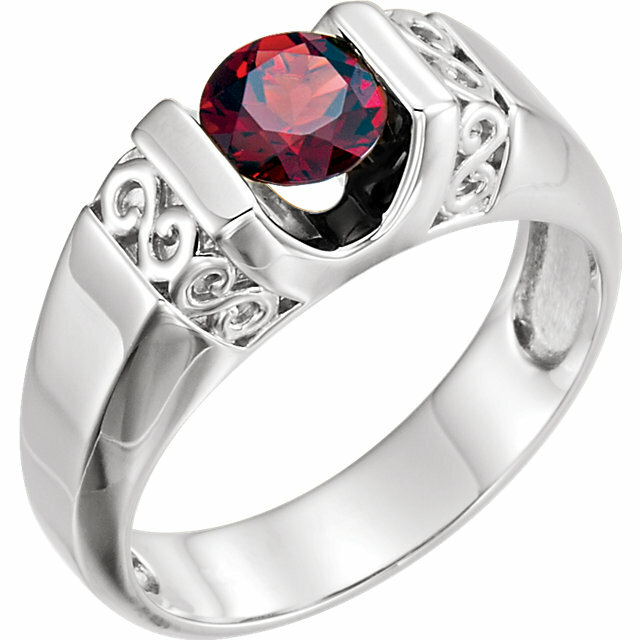 With designs in 14k White Gold, 14k Yellow Gold and sterling silver, as well as a variety of red Garnet shapes, these rings cover the gamut of fashion jewelry designs! 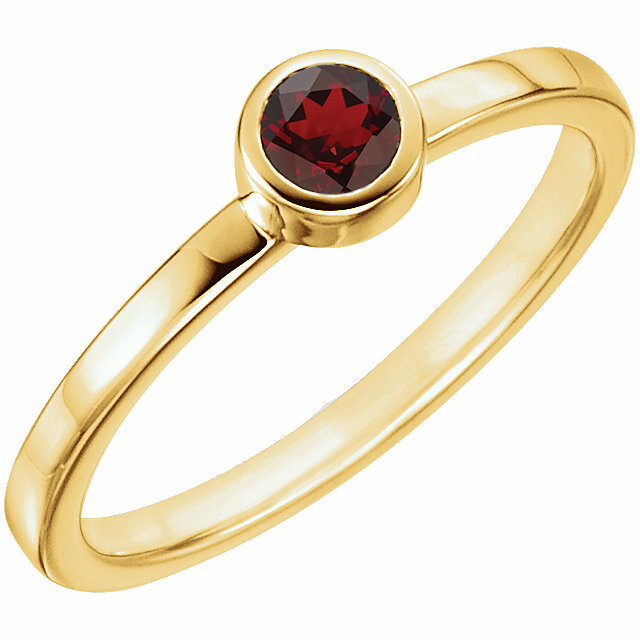 Find the perfect Mozambique Garnet ring for your collection!